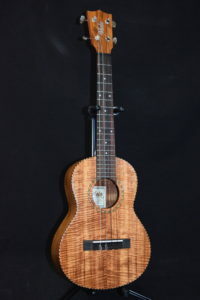 The perfect size for the adult or young adult: 23″ long, 15 frets, richer tone than a soprano but smaller size and lighter weight than a tenor. 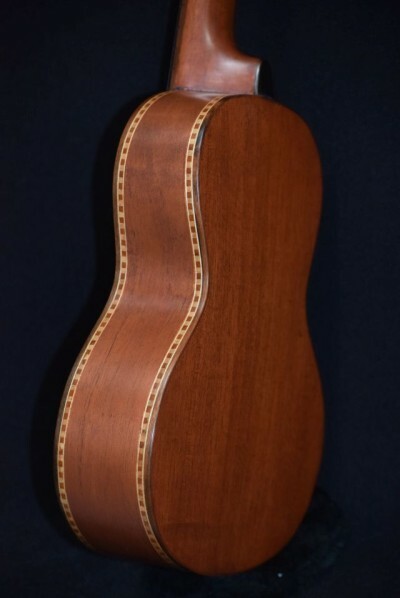 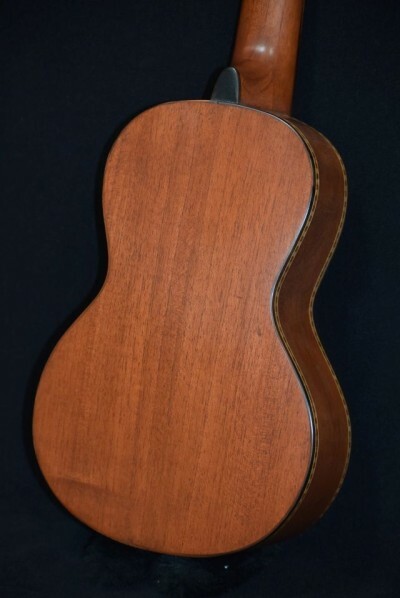 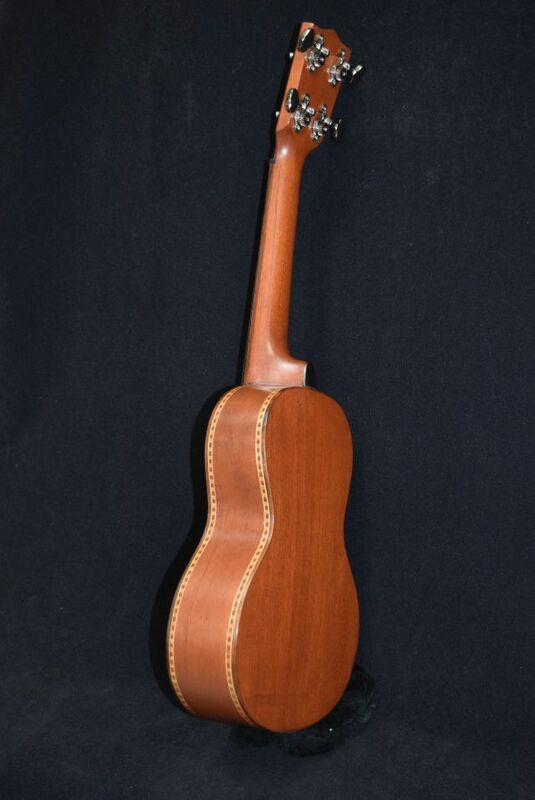 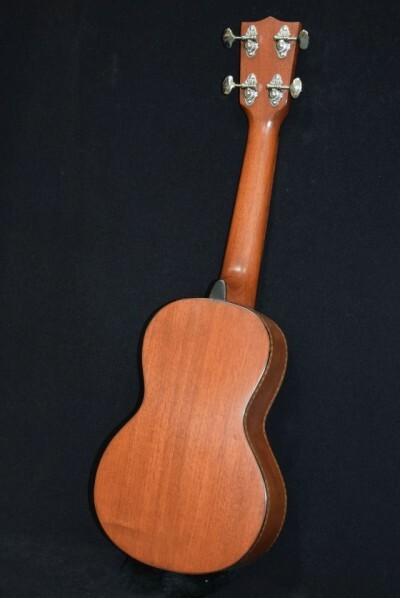 Koa top for great looks and tone, mahogany back, sides and neck. 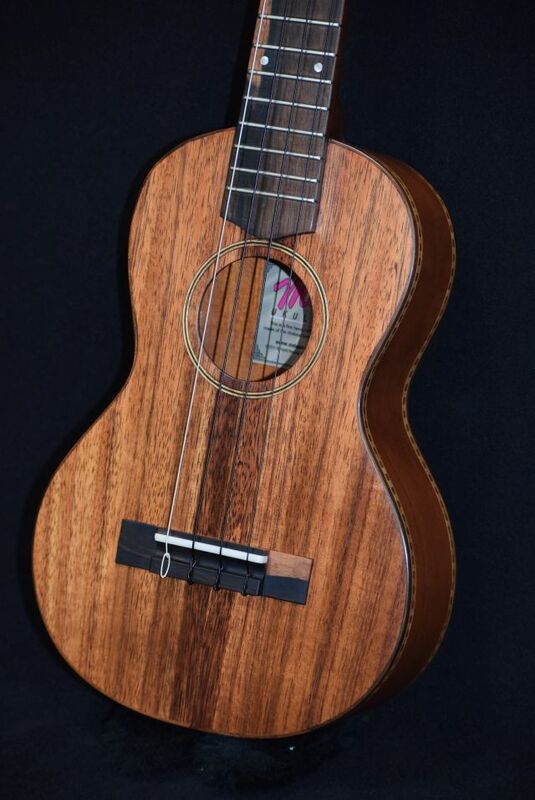 Ebony fingerboard, bridge and binding. 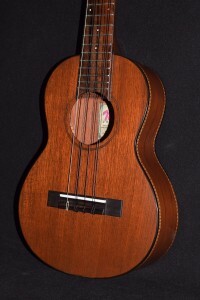 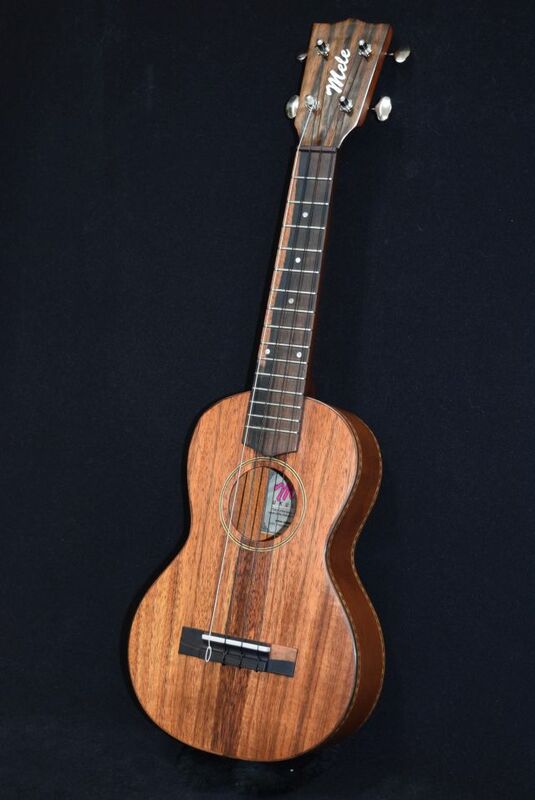 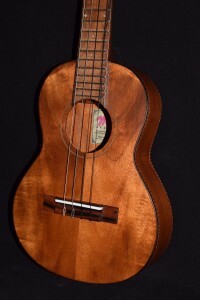 This model costs a lot less than an all-koa concert, but looks and sounds just about as good! 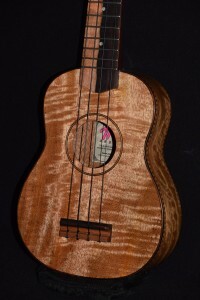 A real “player”, but a collectible heirloom as well.